Today's ever-changing construction industry requires professionals in the business to keep up with technology as it develops. Establishing an online presence in the digital marketing world takes commitment, creativity and utilizing the right tools. People may respond visually, but it’s not always enough to have just a great logo or nice-looking website; these both need to be seamlessly integrated into the modern world of marketing as well. Construction Marketing helps convey to your existing and potential new clients the professionalism and skill your company is capable of while projecting a clear and concise marketing message. In our fast-paced world, the dynamic digital landscape calls for capable construction companies to host professional websites featuring clean designs and relevant content creation. Construction Marketing’s web design team, under the leadership of Art Director Theresa Smillie, brings a wealth of experience in web design and digital production, illustration, animation, branding, and art direction. Modern web design capabilities help our clients establish brand by providing vital company information, informative blogs, state-of the-art video, professional photography galleries, and easy-to-navigate links to social networks. Construction Marketing helps incorporate new trends in digital design and create content to optimize search engine placement as customers and potential clients look, and find, your company and its services online. Branding is everything you want your company to say to the world. How do you present your company to the public with professionally created collateral, both in print and online? Do you want to show your company’s strength and stability in the manufacturing world? Then ensure your logo, website, social networking sites, business cards, sell sheets, and other documents express a strong, polished image. Construction Marketing’s talented Visual Communications Department knows branding and can’t wait to start creating a new look that can start fresh or keep with your company’s traditions, taglines and color schemes for a strategic, consistent message. The old adage says that first impressions are everything. And it really is true. Professional graphic design in print and digital formats best illustrate that companies are serious about business. Clear, concise visual communication effectively shows words, symbols, and images that combine to create a visual representation of ideas and messages. 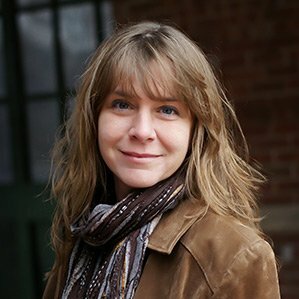 Art Director Theresa Smillie is an expert in the visual arts, specializing in technology and visual communication, typography, logos, branding, publications, print and online advertisements, website graphics and elements, signs and product packaging. Utilizing their formal visual arts training, Theresa and her staff incorporate classic graphic design styles into company branding and corporate identity development to help construction companies stand out in their respected industries. The Construction Marketing, Visual Communication Dept. directs construction-focused clients in establishing professional corporate identity, creating a positive image of your firm in the minds of potential and existing clients, employees, and the industry. We help construction companies build and maintain this identity and answer “Who are we?” and “Where are we going?” to effectively achieve business objectives. By developing a strategic corporate visual identification plan, companies will see the results with enticing brand management, effective marketing operations, social marketing, and social networking.